Don’t gamble with your case. Get the right team and the right tools on your side. Discovery Litigation Services has over twenty years of experience in court reporting and our far-reaching solutions will bolster your case, helping you toward your verdict. Start with the right Nevada court reporter regardless of the locale of the deposition. Discovery Litigation Services will deliver to you the most qualified court reporter. We understand the importance of getting it done right. In our business, there is no margin for error. 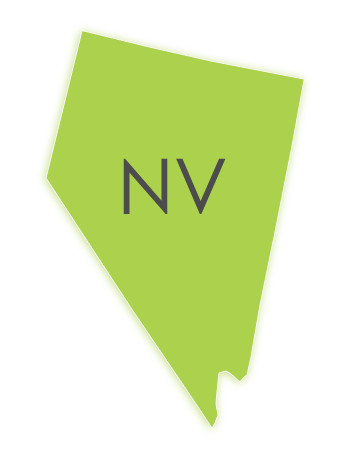 Through our advanced video-enabled streaming court reporting solution you’ll have the best Nevada court reporters at your disposal. You’re just a few clicks away from Discovery Litigation Services handling all of the grunt work. We’ll even set up the conference room! Let Discovery Litigation Services handle it for you. Our expertise goes further. Our videographers are well versed in deposition protocol. Discovery’s videographers are well trained in making the best use of their environment to capture the deposition efficiently and effectively. Our videographers shoot to ensure that the ultimate use of the video - the playback - will be of the highest quality. Discovery Litigation Services, fosters partnerships with its clients over selling one-off products. We will provide you a neutral experienced in the field of Alternative Dispute Resolution. Since controlling the cost of litigation is of utmost importance, our neutrals have the skills and knowledge to find a resolution to even the most complex litigation. Discovery Litigation Solutions’ experienced neutrals are ready to navigate through the complex issues and personalities that are required in order to bring resolution to your case. Discovery offers a unique approach to corporate services focused on assisting the corporate client as well as the law firm that is managing your cases. Discovery Litigation Services will fulfill your eDiscovery, document review, and staffing requirements by providing proficient, experienced attorneys, paralegals and legal support staff. Our contract professionals are disciplined in a variety of eDiscovery Software platforms and understand fully the discovery process. Discovery Litigation Services’ professionals are ready to assist you. Choose from as many or as few solutions from a host of litigation services that best fit your needs. Schedule a deposition today with a few clicks, or give us a call and we will be happy to answer all of the questions you have. Discovery Litigation Services LLC conducts business in compliance with NRS 656. 185 and other applicable state rules that apply to court reporting firms.